There is a monster within us all - it’s how you choose to use it that counts. Mary’s life began in shadow. Unwanted and overlooked, her desire was to make something of her existence. So how would meeting a young poet change her path forever? Scandal. Passion. Desire. Mary’s choices were clear - but would she ever be free of her loneliness? 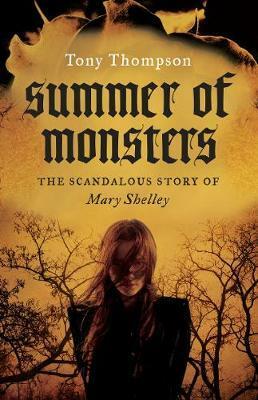 Tony Thompson’s enthralling novel explores Mary Shelley’s early life and the famous summer she spent with Percy Shelley, Lord Byron, John Polidori and her stepsister Claire Clairmont, which inspired her iconic novel Frankenstein.